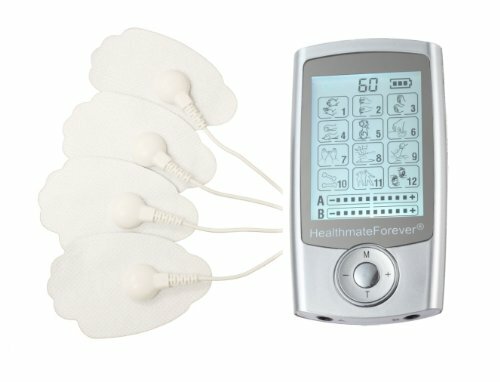 What is a EMS machine? While the devices may look similar, TENS and EMS are not the same. 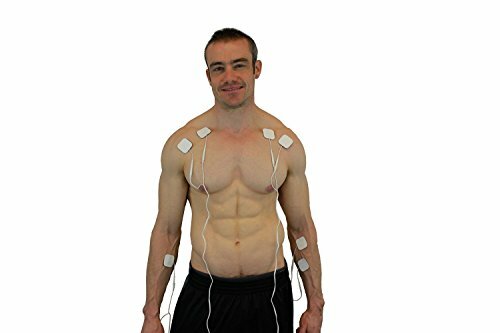 A TENS unit stimulates the nerves, it is intended – and administered – to reduce both chronic and acute pain. 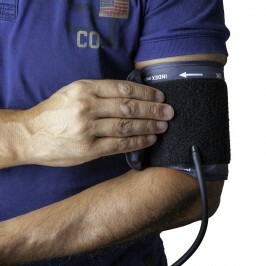 Whereas, an EMS machine makes the muscles contract. 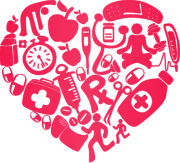 Common uses for EMS include – recovery, training, rehabilitation, prevention, and cosmetic appearance. Buttons are clearly labelled with words like "Neck", "Shoulder","Back", "Elbow", "Hip", "Ankle","Knee", "Foot/Hand", "Wrist",not "Pulse-Width", or "Waveform." The large LCD display with new featureed backlight shows you at a glance exactly whatyou need for your targeted area, including the type of massage"Knead, Acu (Acupuncture), Tap, Cupping, Scraping (Gusha),Random" and the time left on the cycle. It's fully automatic! 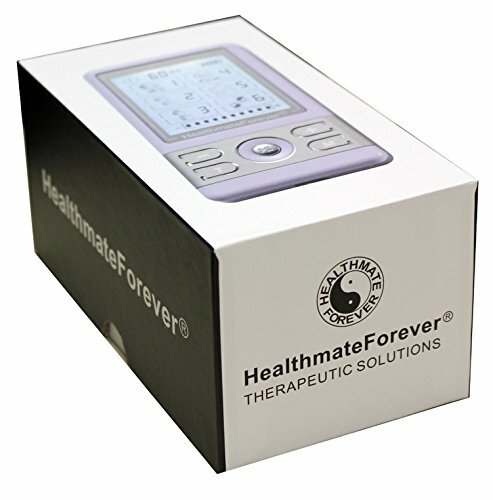 HealthmateForever TENS & muscle Stimulator US Patent No. USD723178S. 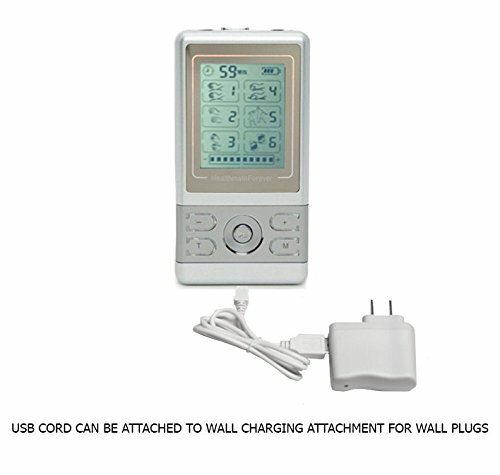 Especially designed for boomers, elders, we add new feature: backlit as elders can see the LCD screen and more custom made condition buttons make it much easier to choose the right button for your condition you need to treat. 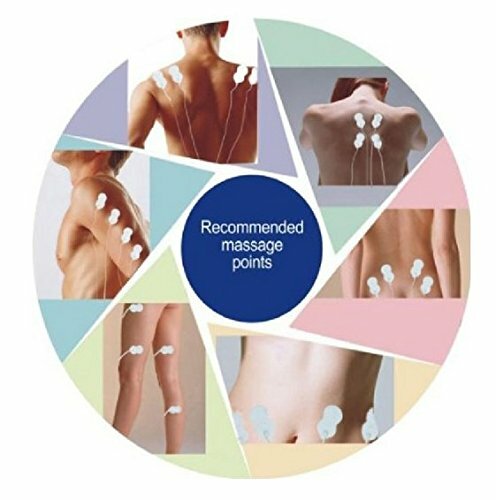 2014 version state-of-the-art Over the Counter Use TENS electrotherapy unit with 15 modes and 4 outputs will help treat multi targeted areas with adjustable 20 level of intensity and frequency to reduce pain, by stimulating your nerves and muscles and relaxing your body - anytime anywhere. New Features: Most Advanced! -15 modes, easy to select the right button to help pain relief, belt clip makes it portable . Powerful- 4 outputs can output the same 20 levels of intensity without reducing the strength. 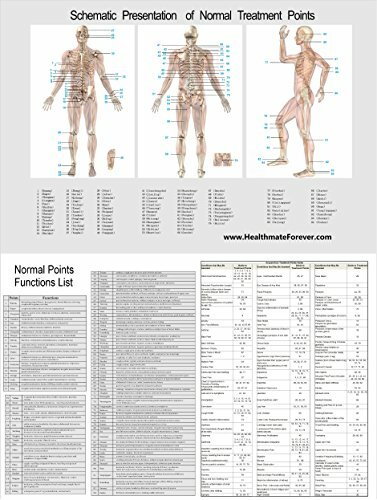 They are so powerful as the one used in chiropractor's office. The 4 outputs have same strength, no matter you use 1 output or 4 outputs at the same time without deviding the strength by 8 pads like old version to weaken the power. 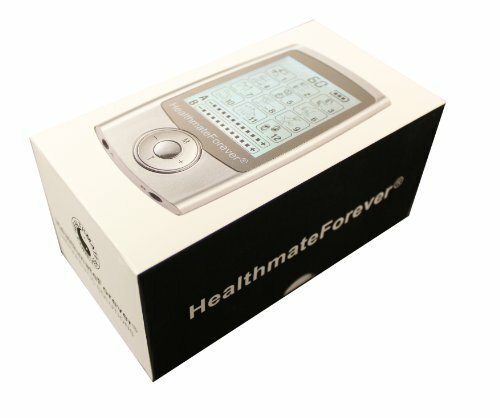 Easy To Use - The HealthmateForever YK15 is very simple to use. WHAT'S IT? 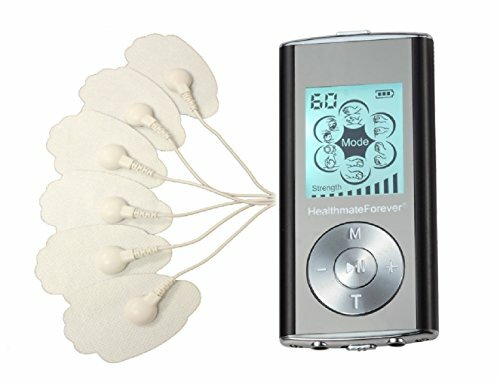 HealthmateForever tens unit is not only the best PAIN RELIEF device by blocking the pain signal from nerves, but also can help toning, firming and improving the strength of the gluteal muscles by using Mode 5 (Body Building). 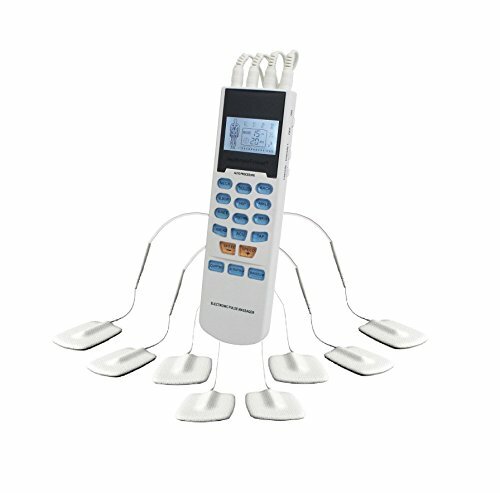 FEATURES - 6 preprogrammed massage modes in a rectangle design: Tuina (Push & Pull), Acupuncture, Tapping, Guasha (Scraping), Body Building, Combination. 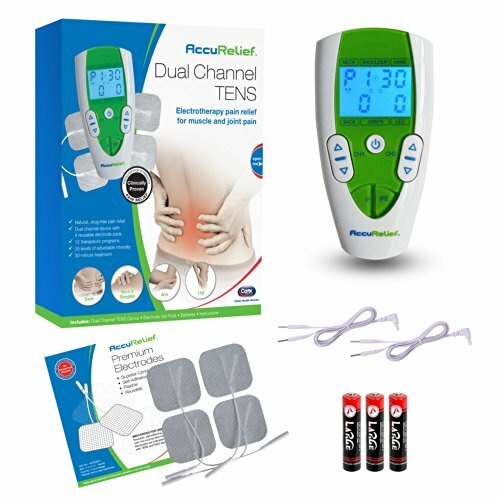 Adjustable 10-60 minute timer by using "T" button, 20 levels of adjustable intensity/strength Simultaneous dual output design, you can use "+" button increases intensity or "-"button decreases intensity of mode, Allows 4 pads to be used at the same time. 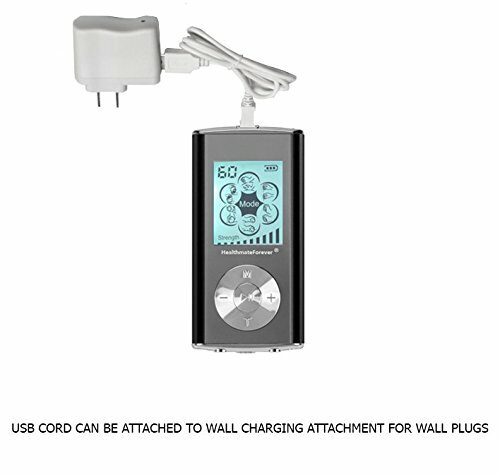 NEW FEATURES - Easy to read animated backlit LCD Display. 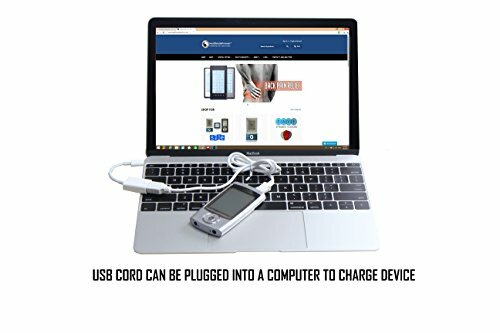 Rechargeable internal lithium battery - up to 10 hours of continuous use. A pause button you can click in less than a second if an emergency happens. WHAT IS IT? - A 4-leads wire allows the use of 4 pads with a single output unlike our dual leads wires that come with each device. 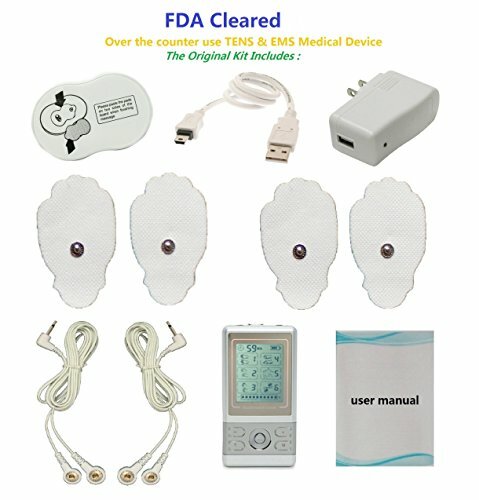 This allows two additional pads to be used with your HealthmateForever device. 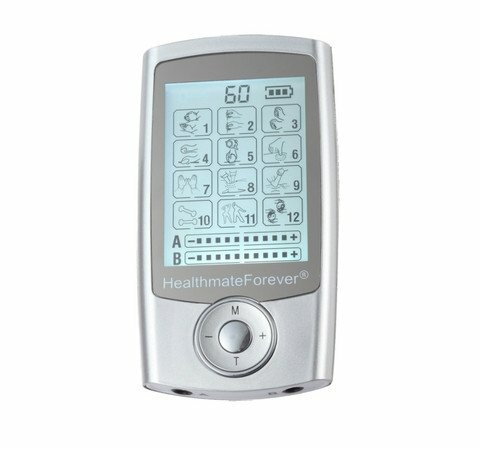 HealthmateForever HM6ML tens unit is the MOST popular massager device, which is a lithium battery powered muscle stimulation system that helps to relieve minor aches and pains. 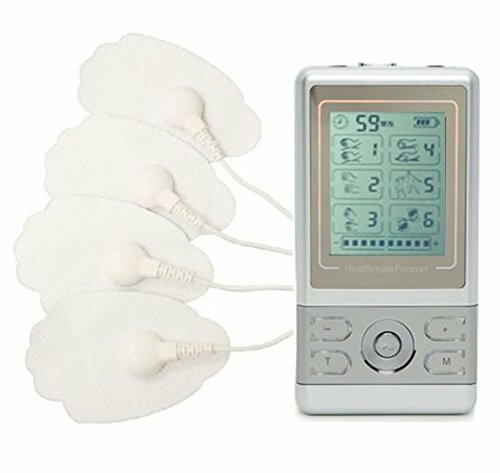 FEATURES - 6 preprogrammed massage modes in a flower design: Tuina (Push & Pull), Acupuncture, Tapping, Guasha (Scraping), Cupping, and Combination. 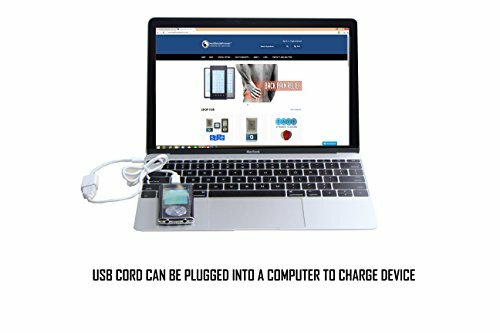 Adjustable 10-60 minute timer by using "T" button, Simultaneous dual output design, allows 6 pads to be applied to the two different targeted areas at the same time; Rechargeable internal lithium battery - up to 10 hours of continuous use. 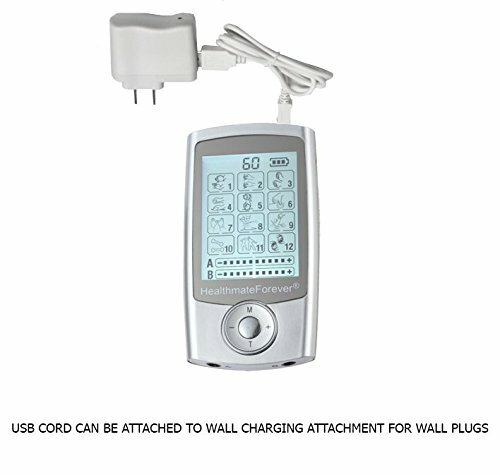 FEATURES - 20 levels of adjustable intensity (strength), you can use "+" button to increase intensity (strength) or "-"button to decrease intensity (strength) of mode; Easy to read animated backlit LCD Display; A pause button (center button) you can click in less than a second if an emergency happens. 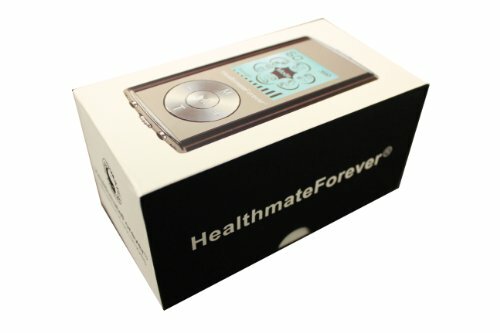 Design in USA, patent pending, all intellectual property rights reserved by Healthmate International, LLC. 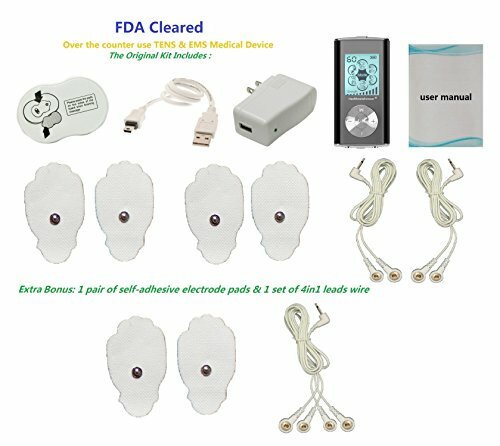 It is based on 2014 version Pro10AB, with 4 more modes FDA cleared Class II, OTC, no prescription needed. 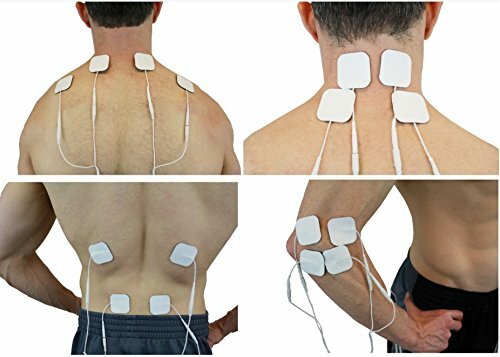 Full Body Bioelectrical Muscle Stimulator, Injury/Post surgery Recovery Rehab, Acupuncture Therapy Device does multi jobs: Pain Relief, arthritis, fibromyalgia, fascitis, lower back pain, cervical pain, spinal . 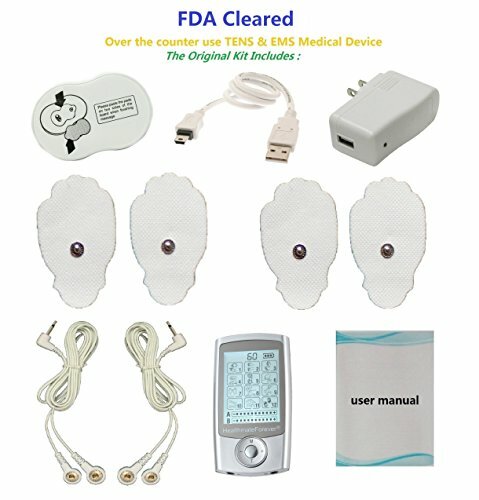 Enjoy unlimited hands free massage in the comfort of home. 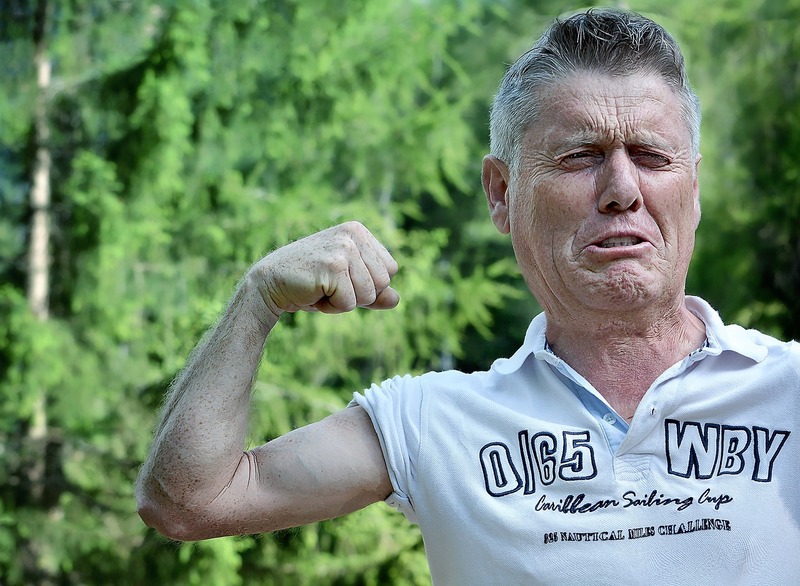 You have to try to believe it, natural drug free fast pain relief. 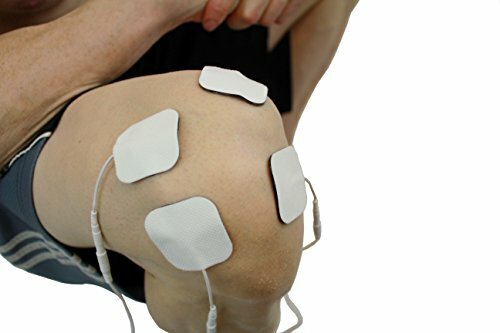 Conformity to safety and performance standards This device complies with the following standards and FDA guidance of TENS and Powered Muscle Stimulator. 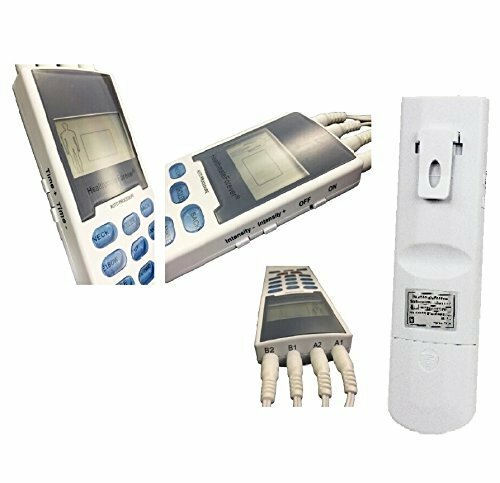 IEC60601-1, IEC60601-1-2, IEC60601-2-10, ISO10993-5, ISO10993-10 This medical device is in accordance with International Standard ISO 14971- Medical devices -Application of Risk Management to Medical Devices. This is down to personal preference and available spend. A rechargeable machine is likely to command a greater initial investment but it’ll probably cost less to run over time. You don’t have ongoing replacement battery costs. Nor do you have to fiddle about with the machine and swap the old set for new ones. Firstly, you need to remember to charge the device. Unlike a standard battery powered machine, you can’t just swap it when it’s out of juice. And although some units can be used while they’re being charged, you’re going to have to be close to the power outlet to do that. Not only is that inconvenient, it’s rather messy – and when you factor in the machine’s lead wires (with the pads on) – you’re going to have cables all over the place. With a device that takes standard batteries, so long as you keep spares – you’re going to be able to use it – pretty much straight away. Another scenario to think about is if you’re going to be taking your unit away with you. This may be on business trips, vacation, days out, etc. You may not always be in a situation where you can charge the machine. If your device takes standard batteries, you can take spares with you. And if you’re ever in the position where you run out of batteries, the likelihood is you’ll be able to get hold of some. Similarly to the last point, if you were away from home and forgot to pack your charger, you could be in a predicament. Whereas, if you forgot to take batteries it would be something you could deal with. Flipping this back round again for a final point, and it’s a pro rechargeable one. 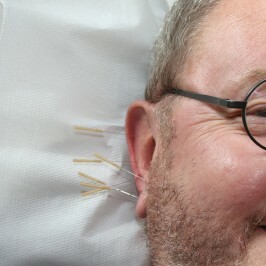 Imagine you were to get home from work, as an example, exhausted and ready for a TENS session. 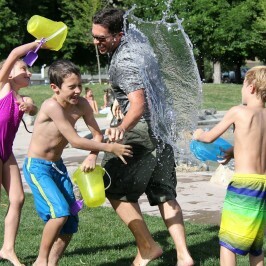 If you had a battery powered device and realized you had run out of replacements, you’d have to go out and fetch some. Otherwise, you wouldn’t be able to use your machine. 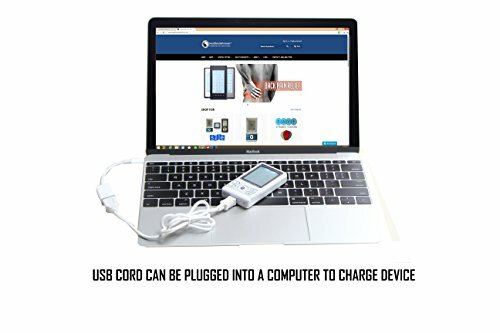 With a rechargeable one, you’d simply put it on charge for a little while and then be able to use it. Patients using a demand type pacemaker should not use TENS. 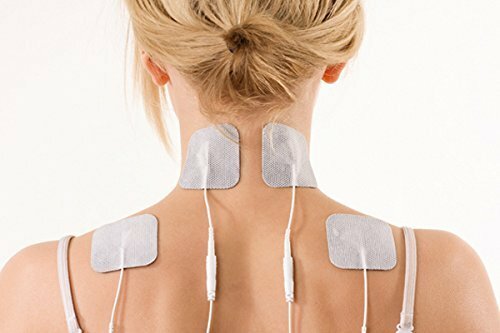 Electrodes should never be placed at the front or side of the neck. TENS should never be used while driving a car or operating machinery. 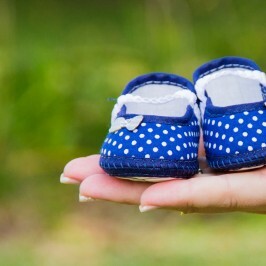 Pregnant women and patients with heart disease or epilepsy should seek medical advice before using TENS. Never use any other method of pain relief to hide undiagnosed pain. It may require urgent treatment.